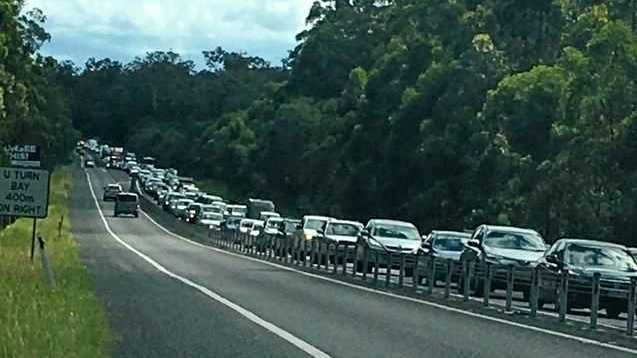 POLICE are pleading with drivers on the Coffs Coast to take it easy and be patient this Anzac Day long weekend. Operation Go Slow ends at midnight on Sunday. During the blitz, double demerit points will be in place for speeding, seatbelt and helmet offences. "We will be targeting the four major causes of fatal accidents during this operation," northern region traffic co-ordinator, Senior Sergeant Malcolm Read said. "They are speeding, alcohol-impaired driving, seatbelt infringements and driving tired." Sgt Read said this was traditionally the last busy period on our roads until the spring school break in October. "We advise drivers that seeing it's the end of the school holidays, to plan their trip home because there will be a lot of traffic on the road, particularly on Sunday," he said. "Take your time. If you're caught in a traffic jam, don't get frustrated and you will get home safely. "Remember there will be quite a few Driver Reviver sites manned by volunteers on the major highways." The school holiday campaign, Operation North Roads, ends at midnight on Sunday.